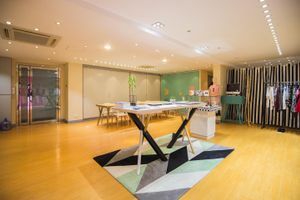 This fashionable 490 square feet space is your opportunity to experience the edgy and hipster area of Tsim Sha Tsui. The cozy space is located on the first floor of a local style building with an industrial design. 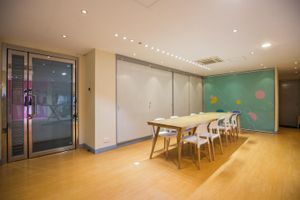 The space has a modern interior design and a large glass frontage. It splits into two major parts and makes use of a neutral colour scheme: the white walls and beige wooden-like flooring help to create a cozy environment. There are also air-conditioning, wifi connection, chairs and tables, a fitting room, shelves, a big mirror, and a showcase, catering for all your needs! The space welcomes creatives and brands to host event which last for 1-14 days.